Why it matters: Contactless payments are an easy and secure way to complete transactions and get on with the rest of your day. Expanding availability to additional retailers will ensure adoption continues to trend upward. Paying for that Slurpee or Big Gulp at your neighborhood 7-Eleven will soon be even more convenient as the largest chain in the convenience retailing industry recently added support for Apple Pay and Google Pay. Support for the new contactless payment methods will be rolling out to most US 7-Eleven locations in the US this month. Apple Pay and Google Pay join Samsung Pay on the company’s list of mobile payment options available to shoppers. Contactless payments are just one area where 7-Eleven is innovating in the tech space. The company is currently rolling out its smartphone app in select markets, allowing customers to place on-demand orders of products from local stores and pay using Apple Pay. Amazon Lockers can also be found in approximately 1,100 locations, Amazon Cash is accepted at more than 8,000 locations and there’s even a 7-Eleven bot for Facebook Messenger. 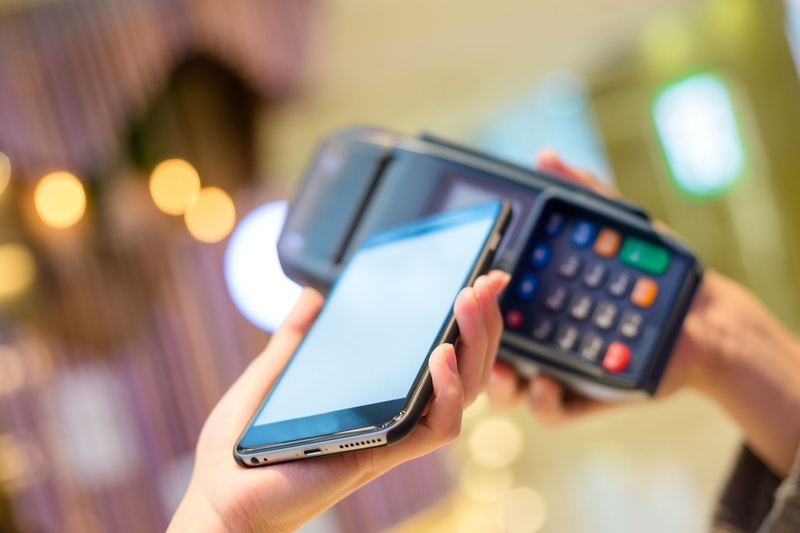 According to a recent forecast from Juniper Research, in-store contactless payments are expected to surpass the $1 trillion mark for the first time ever this year and are on pace to exceed $2 trillion by 2020. At that time, there will be an estimated 450 million OEM Pay wallet users in the wild – half of which will be using Apple Pay.